This publication is the first case study of the Urban Green Growth in Dynamic Asia project. The project explores how to promote green growth in fast-growing cities in Asia by examining policies and governance practices that encourage greening and competitiveness in a rapidly expanding economy. 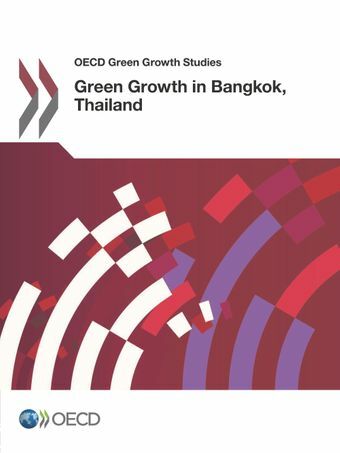 It is part of the OECD Green Growth Studies series, which will culminate in a synthesis report on Urban Green Growth in Dynamic Asia.This report analyses the economic and environmental performance and green growth policy practices of Thailand’s Bangkok Metropolitan Region (BMR). As a dynamic and emerging market economy, Thailand has recorded strong growth over recent decades and is expected to continue to do so, but this growth has come at a high environmental cost. The challenge is therefore to improve environmental outcomes while supporting continued growth in output and living standards. Thailand's government and BMA have taken steps to encourage green growth in the BMR, but much untapped potential remains, particularly in the following areas: land use and transport, renewable energy and energy efficiency in buildings, and water resources and solid waste management. Resilience to floods is also an urgent cross-cutting issue that requires further attention.